We welcome comments from readers. 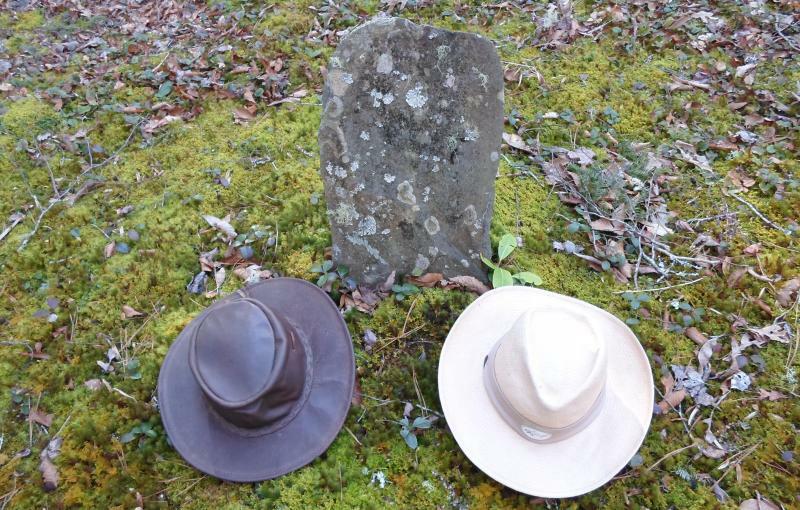 The Remembrance Project is a collaborative effort that benefits immeasurably from the input of readers who contribute their knowledge to the collective history of the Smoky Mountain cemeteries. You two do an excellent job! This website is amazing! Thank you so much for sharing! Your site is amazing. I skimmed through and cannot wait to read it all. When my husband was living we visited the Smokies about three times a year. Loved the cemeteries. I have loved them since I was a child and never understood why. Maybe God knew I would be a younger widow. My family thinks I am weird like that but I absolutely love them. I don't get to hike them any more as I don't think it is safe to hike alone. I sure do miss them though. One of my favorite headstones was one around Sugarlands that had a beautiful inscription on it. It was pouring the day we found it. I thought about that headstone and person all night. It was still pouring the next day. We got out with our umbrella and I used the rain water to clean it off and get a picture. I often get my pictures out to read the inscription. Love Love Love the Smokies and those who lived there. God Bless You and a Great service you are doing for people. Love this site! Thanks for the newsletter feature. It's amazing what great work, & I can't get over how much, U two have accomplished! & are still doing. I couldn't stop reading & admiring the photos until I read everything. It's good to see there is still caring & respect, especially in what U are preserving! So proud of U & what U both are doing. P.S.Keep up the good work! Congratulations to you both!! It must feel real good to have your own web site. Now I can keep track of your walks and what a great way to remember those that have past and by doing them the honor of remembering them. Your page really is well detailed and informative. I think you are doing a great service by letting people know about the grave sites and how to treat and care for them. I know I have always had certain questions about where to walk, and different things like that and letting people know about not doing scratching on pieces of paper, because it would wear down even further the marking on the Head stone, is not something I would have thought about. I hope all is well and that things are getting a little back to normal now that it has been a few months after that fire. Great work! I thought the pics were beautiful! Hard to believe the graves r not covered w/ weeds. U must have cleaned up around them??. R those flowers your doing, or are they from yrs. ago??? I sure admire y'all for what you've done & plan to do! All the time, effort & kindness y'all have given of yourselves. I'm very proud of you. We did not place any of the flowers. All were placed by those tending the graves, many cemeteries having annual Decorations Days. Well written & beautiful photography!!! Website looks great. Skimmed through all of the links. My favorite is the bear peering over the shoulder wonder what the heck ya’ll two are up to. Are there any Indian graves ya’ll came across? Cherokee?